Scientific name: Onopordum carduiforme Boiss. 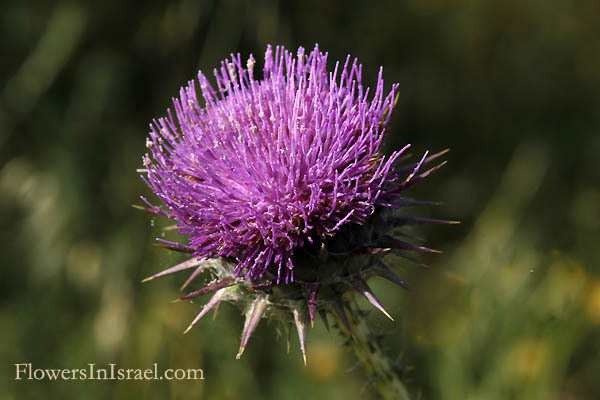 Synonym name: Onopordum telavivense Eig. 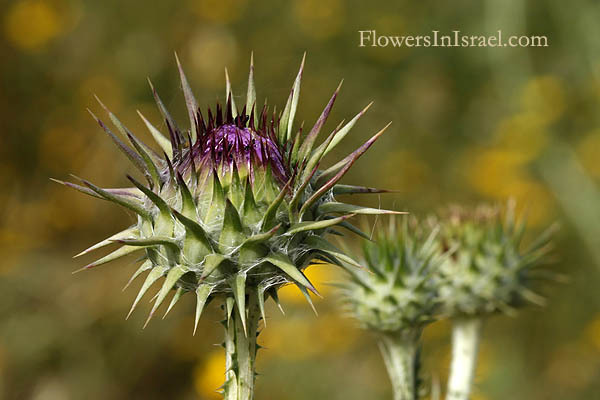 carduiforme, cardu noun/m "thistle", "forme", to be in the form or shape of... thistle formed. The standard author abbreviation Eig. 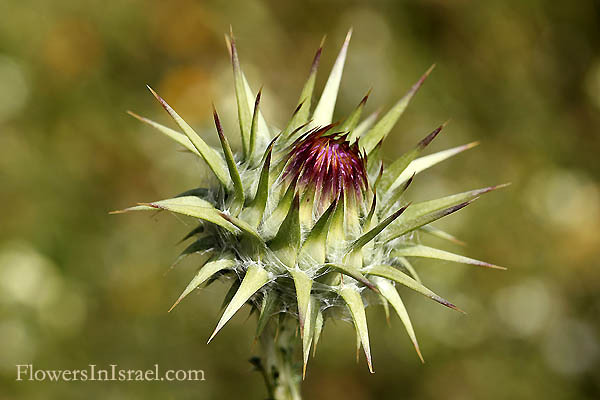 is used to indicate Alexander Eig (1894 – 1938), an Israeli botanist, and one of the founders of the Jerusalem Botanical Gardens on Mount Scopus, together with Zohary and Naomi Feinbron. 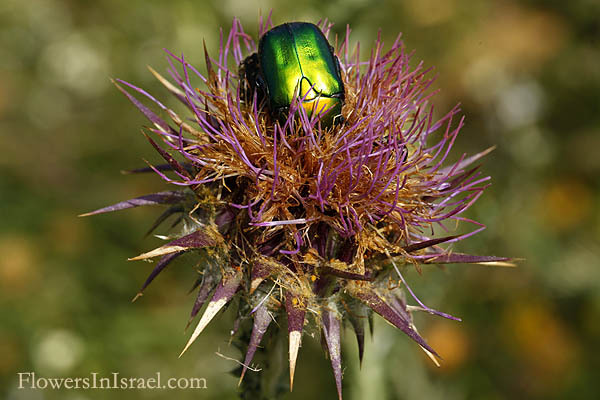 "The creator of plant Science in Israel." Onopordum carduiforme Boiss. 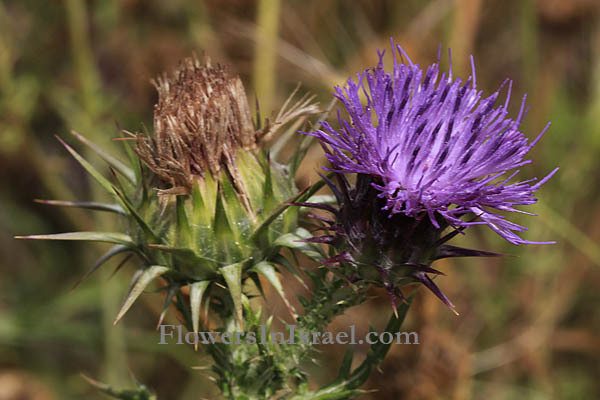 prefers the sandy soils of the coastal plain of Israel and differs by its habitus and flower color from the Onopordum blancheanum (Eig) Danin that is confined to basalt soils at an altitude of 300-1000 m.